Italy, Portugal, Spain and France have all gone up in flames in recent weeks, highlighting the need to rethink how Mediterranean countries protect people and save ecosystems. July has been a month that has seen firefighters across Italy, Spain and France battle hundreds of wildfires, the flames fanned by a combination of heat and drought. This is just the latest in a succession of fires in the Mediterranean. In June, forest fires in Portugal killed 64 people in Pedrógão Grande, in the Leira district, and immediately afterwards Spanish forests went up in flames, forcing the evacuation of more than 1,500 people from homes and campsites. Fires are expected in the summer, but they don't usually have such severe consequences. These incidents highlight the need to rethink how landscapes can be managed to protect people and sustain ecosystems when the region's climate and population are rapidly changing. Today, even areas with a long evolutionary history of fire, including the Mediterranean, southern Australia and western United States, are seeing higher risks of fire, a change associated with a warming climate and the growing number of people who live near densely forested landscapes. 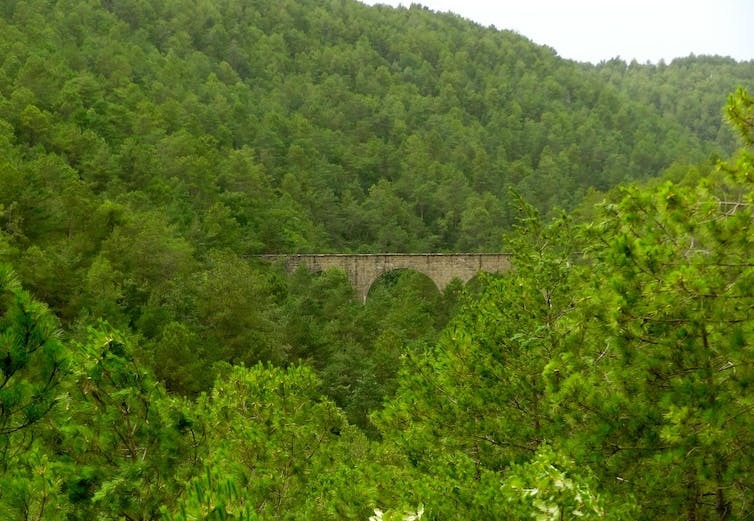 It's not that southern Europeans are moving to the forest – quite the opposite, in fact. Across the Mediterranean, decades of economic and social changes have led to rural depopulation as people move to larger cities. 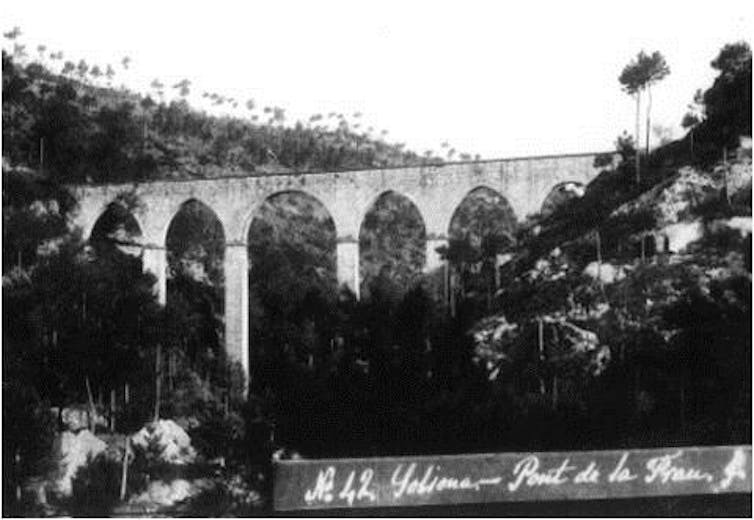 In 1950, almost 50% of the Spanish population lived in rural areas. By 1990, that figure had fallen by more than 25%. As a result, landscapes that previously comprised small-scale mosaics of farmland, grazing land and relatively open forests are now dominated by young, dense forests. Forest plantations, grown for profit and to protect soil, can also increase fire risk when they are stressed by drier conditions. So how can modern Mediterranean landscapes, with their ever-higher fuel loads, reduce the adverse effects of fires? Integrative strategies that take into account the various social, economic and ecological factors of fire offer possible solutions for both rural and urban landscapes. Fire suppression – involving the sophisticated use of firefighting vehicles to suppress fires soon after they start – is the most common form of fire management in Mediterranean ecosystems. Suppression is an important way of keeping people and homes safe, but its success has a negative flipside: it leads vegetation to accumulate, increasing the risk of future adverse fires over large swathes of territory. 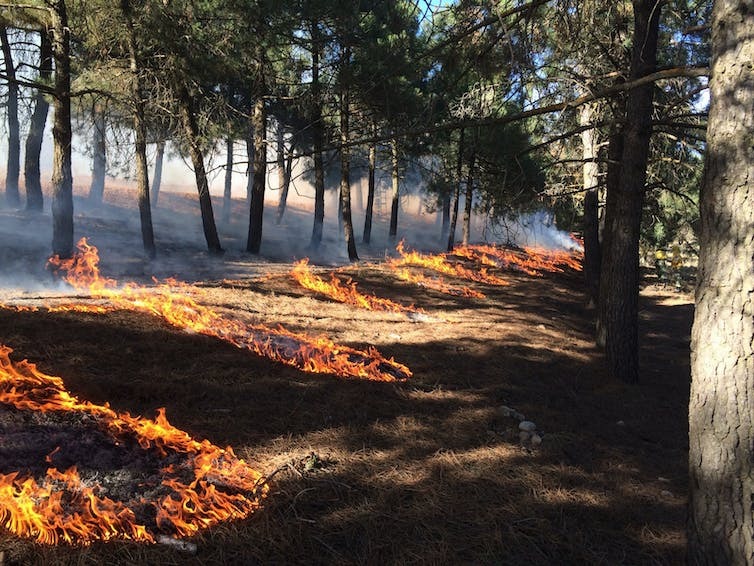 To manage this vegetation and leaf litter, prescribed burning, which reduces or breaks up the connectivity of this fuel, is becoming more common in southern Europe. This option will be more effective in some areas than others. Fires are not only controlled by fuels but also by interactions with climate, topography and local conditions. For example, recent work suggests that prescribed burning is more likely to reduce unplanned fires in Portugal than in Spain, perhaps because of the greater influence in Portugal of “bottom-up” drivers (such as fuel) than “top-down” drivers (climate, for instance, and weather). Fuel management is particularly effective when it is prioritised at strategic management points and in criticalurban and rural areas near homes and other assets. In rural areas specifically, linking fuel reduction efforts with forestry and agricultural practices that benefit local economies – promoting what's called the bioeconomy – provides opportunities for more effective management. Among other examples, sustainable forestry practices can be used to develop more open areas with widely spaced trees, which impedes the transmission of fire between adjacent trees. Such harvesting can also benefit local economies by creating jobs in forestry and energy production. Grazing is another good way to reduce fuel loads in rural areas. France is now integrating this traditional method into its fire management practices, and it is currently being piloted in Catalonia, Spain. Agriculture, too, can reduce the connectivity of forest fuels and reduce wildfire risk. The development of certain new crops, such as truffles and vineyards on previously abandoned landscapes, could act as “green firebreaks”, though scientists and land managers have only recently begun to explore this option. Educating citizens about wildfires is the necessary flipside of these prevention tactics to keep wildfires from becoming tragedies. Talking to people about home safety, when to evacuate unsafe areas and when to shelter in place are essential steps that should be taken to minimise hazardous fire outcomes currently being seen across the Mediterranean. This is best done through a participatory approach that puts local communities at the forefront. That is, stakeholders should be involved through the entire planning process (not just immediately before or after a fire event). To get widespread social buy-in for fire management strageties, it's key to bring together and empower decision-making groups made up of diverse stakeholders from across society, from farmers and wildlife organisations to local business. One case where this co-responsibility will prove helpful in the Mediterranean basin is in integrating wildfire risk into spatial planning of urban and rural areas. Decisions on where and how to build new homes should be based on an informed view of fire risk, wherein all parties understand the reasoning behind those decisions. Fire, of course, is not all bad. Many plants and animals depend on fires for their survival and the right kind of fire can promote biodiversity. In Mediterranean ecosystems, some plants need fire to complete their life cycles, and others have adaptations, such as thick bark or the capacity to resprout, that aid recovery after fire. Animals may also benefit from open areas created by fires. For instance, the ortolan bunting, a farmland bird species that has declined across much of Europe, colonises and inhabits recently burnt areas. But flora and fauna are not adapted to all kinds of fire regimes, so effective biodiversity conservation depends on deep knowledge of how the temporal and spatial arrangement of fires influence species. This same understanding of how plants, animals, fires and other processes interact is also key to predicting when and where future fires might occur under a changing climate. Today, data and models of fire spread and occurrence can be used to map fire hazards and consider how they might influence people. It is not possible to eliminate fire risk completely. But more holistic strategies that incorporate the particular social, economic and ecological factors present in the various fire-impacted areas of the Mediterranean would go a long way to protect people and sustain ecosystems in the face of rapid climate change.